Virtual experiences have moved on and prospects are expecting more. “Virtual reality was once the dream of science fiction. But the internet was also once a dream, and so were computers and smartphones. The future is coming”, Mark Zuckerberg, FaceBook post, March 25th 2014. Cast your mind back to 1995, if you were alive then. 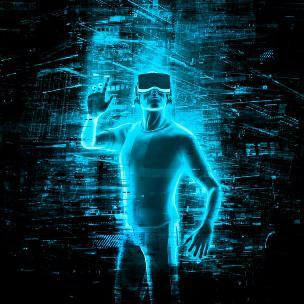 I was studying for my Electronic and Electrical Engineering degree and with my fellow, budding Engineers I undertook a group project on a new-fangled technology called Virtual Reality which was to change the face of architects’ practices across the land. Fast forward 21 years (really? ), via The Matrix, and we may just be about to land in the future that earlier technological developments have led to. The concept of a ‘virtual reality’ is not a new one, with humans always being keen on depicting a reality for others to share and feel part of, be that the earliest cave paintings or the extravagantly detailed panoramic murals of the nineteenth and early 20th centuries. The Battle of Borodino, by Franz Alekseyevich Roubaud, is 115 metres long and 15 metres high. Your entire field of vision is full. You can’t but help feeling part of the dramatic action of the moment when Napoleon struck his main blow. But new developments in technology soon took imagery from the painting to the photograph, and from paper-based, silver iodide processes to digital ones, giving more and more people the power to create and capture images and share their experiences with others. For quite some time, this frame-bound imagery was the norm for many sectors to sell their wares and ‘show’ potential customers what they produced and what was going on. I recall photographing a graduation ceremony back in the early naughties, when I was a University Web Officer, with an SLR (non-digital) camera. After the ceremony, I (literally!) ran the film down to the local chemists, had it processed in an hour, picked the photos up, scanned them in, and had them online before the Honorary Graduate of the day had left the building. People were astounded at the speed at which this had happened, and how they could share the web page with others who hadn’t been able to be part of their special day and experience the celebrations. Technology may have since sped the processes up, but the idea of sharing photos of events on campus remains strong, only now, social media plays a part; wider audiences are reached and attendees also share their own experiences e.g. on Instagram or Twitter. However, the ‘real-world’ is moving fast and some industries have been quick to adopt, and adapt to, newer, immersive technologies to enable active participation rather than passive consumerism. From photos, to 360 video, to Virtual Reality, Augmented Reality and (coming soon) Mixed Reality, there are a whole host of realities that your prospects and current audiences can engage with. But what’s the difference between them all, and which is best?